Our top five luxury hotels perfect for your next trip. From Elizabethan manors, 12th century castles and stunning coastal hotels, we’ve got you covered. West Sussex is home to some of the UK’s most beautiful hotels. If you’re looking for luxury in a county that’s full of heritage, art, culture and breath-taking landscapes then look no further. With Elizabethan manors, 12th century castles and stunning coastal hotels to offer, we’ve hand-picked our top five to help make planning your next trip that little bit easier. 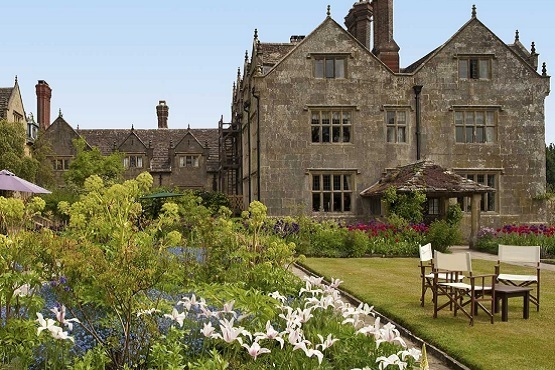 Set within the High Weald Area of Outstanding Natural Beauty, Gravetye Manor is a luxurious countryside hotel with a Michelin starred restaurant to its name. Surrounded by 35 acres of beautiful grounds, if you visit in spring or summer, you can see more than 7,000 species of tulips in bloom. A beautiful Elizabethan manor, Ockendon Manor Hotel & Spa has 28 bedrooms to choose from. The Spa building is home to six of these rooms where the bedroom shutters open on to a roof terrace garden with views overlooking the nine acres of grounds. The Spa has been awarded The Good Spa Guide’s 5 Bubble Rating, and with a Michelin starred restaurant as well, this is the perfect place to unwind in true luxury. Whether you’re looking for a family break or pure indulgence, The Goodwood Hotel is the perfect destination. Showcasing true British style, the former 18thcentury coaching inn is home to beautiful rooms, an award-winning restaurant and a health club so you can switch off from the hustle and bustle of day-to-day life. With flawless attention to detail, South Lodge Hotel is a five-star haven with spectacular views over the South Downs. Each room is individually styled and designed, you can even choose your preferred pillow! The award-winning restaurants, private-dining option and a spa opening in winter 2018/19 make this an indulgent way to spend your next break. We’re sure you’ll leave already wanting to plan your next visit. If you’re looking for a location with the wow factor then Amberley Castle could be for you. Steeped in more than 900 years of history, this unique luxury hotel offers 19 rooms in the picturesque village of Amberley. At the heart of the hotel is the Queen’s Room restaurant, offering seasonal dishes made with local produce. During your stay you can enjoy the award-winning gardens, an 18-hole putting course, a croquet lawn and a tennis court.